GI2MO Project Homepage » Gi2MO going overseas to present at CollaborateCom conference! Gi2MO going overseas to present at CollaborateCom conference! After quite some development oriented news we are happy to announce something more research flavoured. 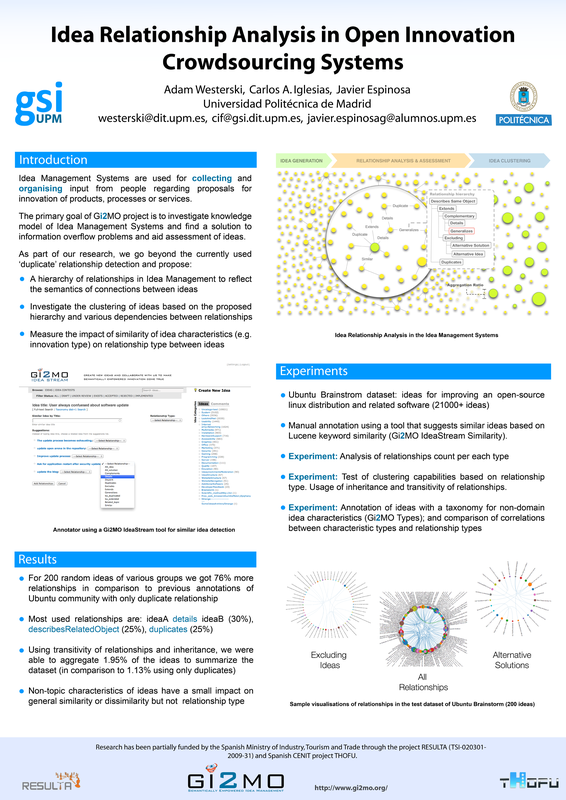 We are going to give a presentation about our recent research results at the 8th IEEE International Conference on Collaborative Computing: Networking, Applications and Worksharing (CollaborateCom 2012). The conference will be held in Pittsburgh, Pennsylvania, United States, starting on October 14th until 17th. The exact time and location of our talk will be posted when the schedule of the conference is available. As usual, the slides and related research paper will be made available in our docs section at a later date. Be such to check back if you are interested in details of our findings! 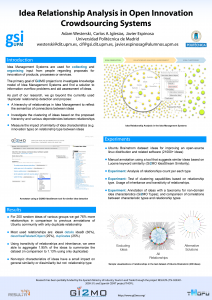 Gi2MO poster presented during CollaborateCom 2012.